From the days when the first automobile was invented, the world and its fascination with speed was something that fixated us to create cars that could run as fast as physics would create permissible. The past 100 years or so has seen the advent of horsepower being boosted by larger than life engines, not to mention things such as superchargers and turbochargers that help step up your speed. The art of aerodynamics has also been thoroughly studied so as to master the maximum number of ways to increase stability and minimize drag related to high speed, especially when the speedometer is elevated past the three o’clock position. With all this modern technology, the production of records related to car top speed has seen an overall surge by 124 mph in the past 50 or so years. Every automobile today is engineered to perfection, resulting in their enthralling high speed performance. Let’s fasten our seatbelts and take an in-depth look at the top ten picks for the fastest supercars in the world. Despite the fact that this beast is not a household name like Ferrari and MCLAREN, the RS1 from Koenigsegg Agera is a dream built for racing. Being present for only a short period of time in the market, this car has made a great reputation for its self. The car will blow your mind with a speed that tops up to 273 mph. That’s equivalent to today’s fastest speed racing car that you can find in the auto market. This gives the RS1 the right to earn its name as the fastest supercar in the world today. The car has a whole set of exciting features that will mesmerize every driver out there. The engine comprises of a V8 DOHC turbocharged 5 liter engine. This engine’s compression ratio is 9.0:1. This allows the car to generate a horsepower of up to 1140 and exert an astonishing 1200 pound feet torque. This means, the vehicle can reach 60 mph in less than 2.5 seconds. 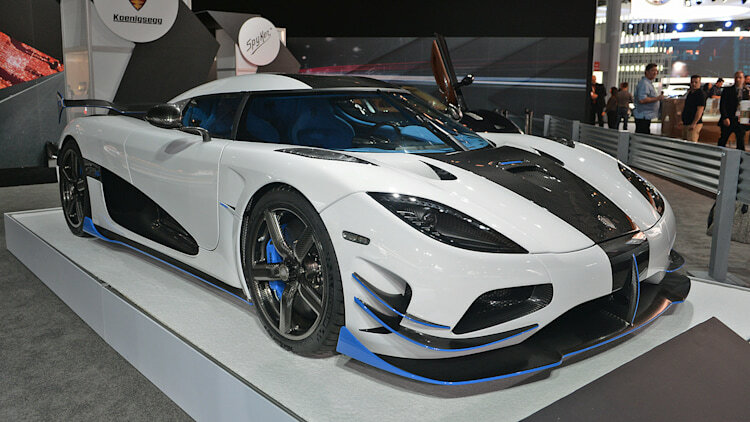 World records set with the Koenigsegg Agera RS1 include reaching a speed from 0 to 186 mph in about 11.7 seconds. As can be imagined, this beast does not come cheap. The estimated cost is around 1.1 million pounds. This car also has the capable features of faster shift times and accelerating speed due to its in built dual clutch transmission and wheels made of carbon fiber. Hence, it’s the ideal car for racing. You may be surprised to learn that despite being a newbie in town, the Hennessey Venom GT is currently one of the world’s renowned names for fast cars. The car is capable of reaching a maximum speed of 270 mph. This feature has much to do with its advanced Lotus Exige. Beware, as this car is not for the fainthearted, looking like a complete beast on first glance. The car comes charged with a heavy duty 7.0 liter V8 twin turbocharged engine. This gives it the capability of producing a mesmerizing 1244 horsepower and 1155 pound feet torque. This means this machine can fly from still standing to about 62 mph in just 2.8 seconds. It can also jump from zero to 200 mph in just 14.51 seconds. These faster shift times are all due to upgrades in the car’s intercooler system and its single clutch system. The beautiful aesthetics of this speed car are not to be missed with a glamorous interior as well as beautiful exterior. Again as can be expected, this mean machine does not come cheap. It carries a hefty price tag of 1.2 million US dollars. But hey, it’s cheaper than the Hennessey Venom GT! So which is the better car you may ask amongst the two? The answer is simple, Race and find out! The brand name Bugatti Veyron is something everyone is familiar with when it comes to luxury and sports car. It had to make the list somehow for the world’s fastest cars as it has its name printed in the Guinness World Record Book as the world’s fastest car for a good number of years. It was also the first car ever to overcome a speed of 250 mph. This Bugatti Veyron is a Super Sport version and to no one’s surprise, the car can reach speeds of a maximum of 268 mph. This car is fully loaded with a Quad Turbo 8 Liter W16 engine. This gives it the ability to enjoy a torque of 1106 pound feet. 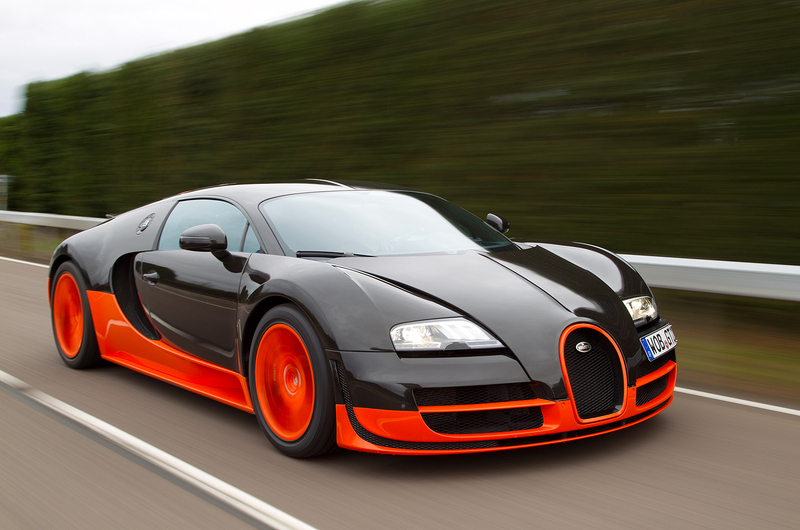 The Bugatti Veyron Super Sport has an incredible horsepower of 1200 HP. As a result, the car holds the capability of going from standstill to 60 in just 2.4 seconds. One of the greatest features this car holds is its ability to reach thrilling speeds in the most effortless ways. This dream car holds simplicity in its drive with the seats being super comfortable. The car is a vision of luxury, despite being a super car. The Bugatti Veyron super sport car is a popular choice when it comes to cars and for this reason has high demands in the market, costing the owner 1.6 million pounds. This sports car has been designed by a German company by the name of 9FF. 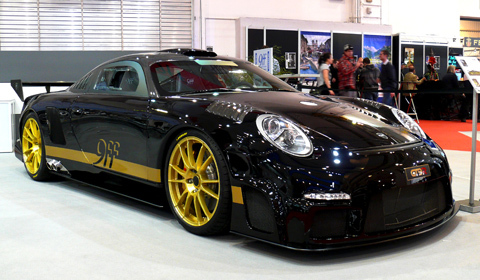 It’s a fast car, inspired and based on the previous Porsche 911 model. From looks and design to style, many similarities can be seen to the great Porsche 911. The difference usually being that the interior has been removed for a lighter effect. This car is a definite mean machine on the roads, fitted with unique technology like no other. The 9FF GT9-R comes packed with a flat 6 cylinder 4.0 liter engine. This modification comprises of 6 cylinders in horizontal arrangement, present in 2 banks of 3. This feature gives the car a great speed of 257 mph and capability to reach a horsepower of 1120 and a 910 pound feet torque. The size and power of the engine is so massive, that speeds of 60 mph are reached in 2.9 seconds and the car can go from zero to 190 mph in less than 16 seconds. The greatest and most interesting feature of this car arises from the fact that the manufacturers have kept no two vehicles the same. This means owners can customize their car according to their preferences of looks, design and performance. This car has been manufactured by a North American Based Auto company known as Shelby Supercars. Like the Bugatti Veyron, it holds similar Guinness World Records for being the fastest car in the world for a number of years, before the Bugatti Veyron was introduced. The car is fairly new in the market, when compared to other well reputed names. The engine comes as a V8 twin turbo charged engine of 6.3 liter. 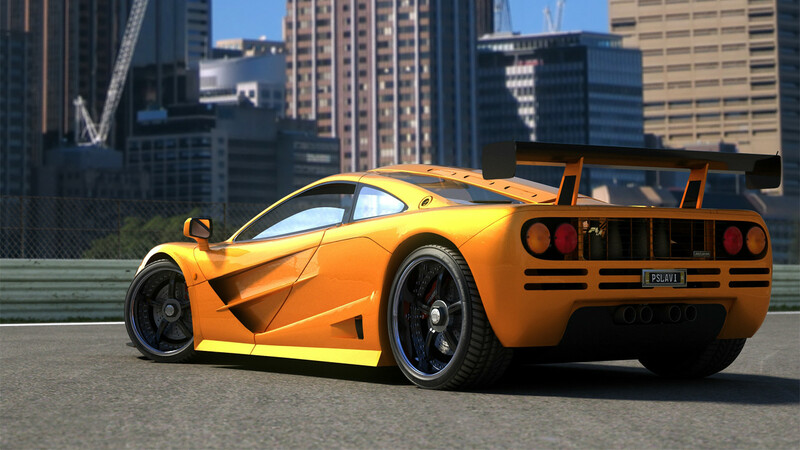 This gives SSC Ultimate Aero cars to generate a horsepower of 1287 and 1112 pound feet torque. The car reach top speeds of 256 mph and has the ability to go to 200 mph in just 16 seconds. A slight drawback is the car not having the feature aids of an electronic driver. This helps to control the engine’s power system. The car has gained both positive reviews and negative criticisms over time. This includes pure driving pleasure along with lack of safety design features seen in other fast cars. The SSC Ultimate Aero costs around 550.000 pounds, cheaper than the ones mentioned previously. The list of fastest cars in the world features Koenigsegg again, this time with a different variant known as the CCR model. This car has the capability to reach top speeds of about 242 mph, making it a trendsetter after the likes of Ferrari and McLaren at grand prix events. The CCR despite being part of the older generations of Koenigsegg models has the ability to continue to be amongst the fastest renowned cars in the world today. The car’s engine consists of a mighty 4.7 liter mighty V8 engine. This car can generate horsepower of up to 806 and a torque of up to 920 pound feet. The car is also capable of rushing from 0 to 100km/h in just 3.7 seconds. This allows the car to complete a quarter of a mile standing at 146 mph in just 9.7 seconds. The brand McLaren is the name given to car that is a classic like no other. Despite being in the auto market for over 23 years, the McLaren F1 still has lived up to its expectations as being one of the top 10 fastest cars in the market today. The car is known for its fascinating and special interior design of having three seats in the front of the car. This includes one for the driver in the center and two for the passengers on each side. The car has one of the most intriguing designs in the world today when it comes to cars. Examples include the car body being made of carbon fiber, seat of the driver in the center and the cars engage bay of gold-line. The engine consists of a BMW M V12 6.1 liter. The car is given the ability to produce horsepower of 670 and a maximum torque of 520 pound pressure. The super car can top speeds from 0 to 60 in just 3.2 seconds. The overall built and dynamics of the car are impressive and top class. The car has been sold for a record breaking 8.47 million dollars. The Zenvo ST 1 is a super car manufactured by a Denmark based company known as Zenvo. Known for its high performance, this supercar can accelerate to a maximum speed of 233 mph and can also run from 0 to 60 mph in just 3 seconds. The car comes packed with a V8 6.8 liter engine. The car has the capability of generating horsepower of 1104 and a maximum torque of 1050 pound pressure. Zenvo ST 1 can reach from 0 to 200 mph in a miraculous 8.9 seconds. Other exciting features that the vehicle encompasses include a steering wheel that is telescopic and an entry system being key less. The Zenvo ST 1 comes at a price tag of 660,000 pounds. 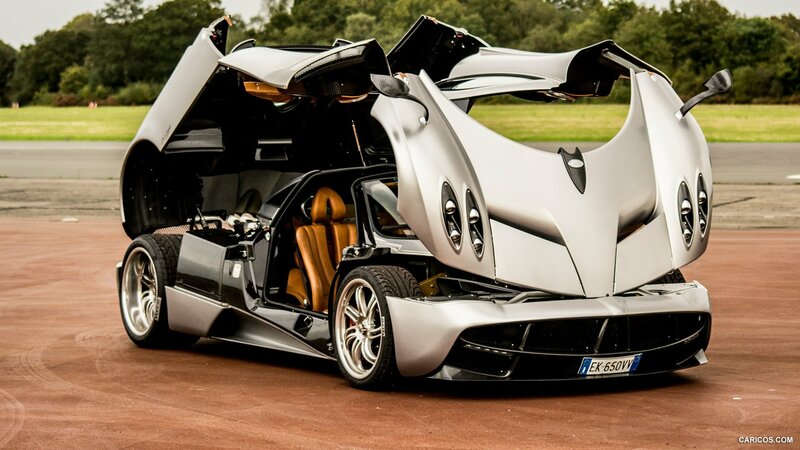 The Pagani Huayra has made our fastest car list for all the right reasons. Being manufactured by an Italian Supercar producer, this beast is not to be ignored by car enthusiastic individuals who love a rush of adrenaline in their veins. The car has earned hype for a few numbers of years, not only owing to its top speed but also due to its unique design and features. The PaganiHuayra isn’t one of the fastest in the market, but its rate of acceleration is what drivers go crazy about. The engine is equipped with a V12 6 liter twin turbo, which has the ability to produce a maximum torque of 738 pound feet and horsepower of 730. The car’s top speed goes up to 230 mph and costs around 900000 to1000000 pounds. 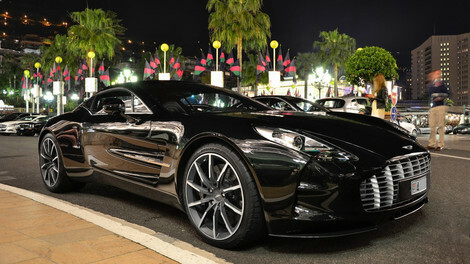 A top ten list of fastest cars in the world is incomplete without the inclusion of a beauty like the Aston Martin One- 77 design. This beast comes fitted with 7.3 liter V12 engine that can generate horsepower of 750 and a maximum torque of 800 pound feet. The car can reach top speeds of 220 mph, accelerating from 0 to 60 mph in just 3.5 seconds. The car as many of us may know is known for its exceptionally good looks, making it a dream luxury for many around the world to drive. This model gets the title of one of the fastest Aston Martins ever developed. Speed and cars are a hobby for many and a passion for others. 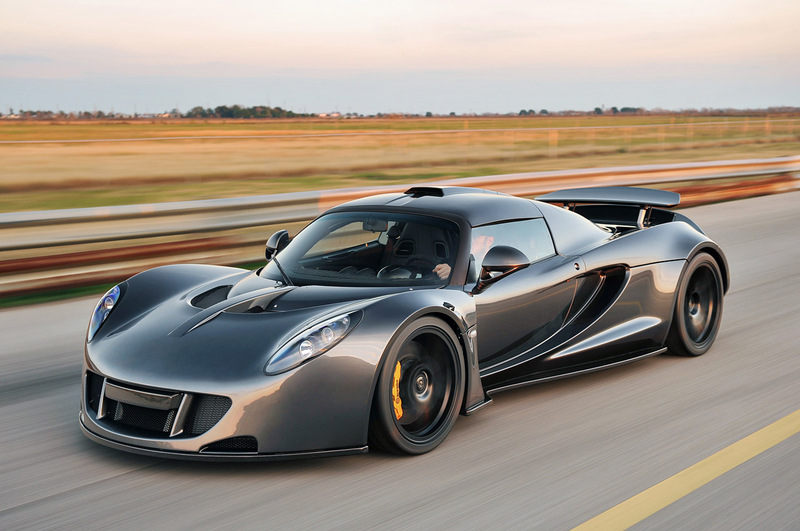 These mean machines are the world’s top 10 fastest cars currently running today. As days go by, new and more innovative designs with better and more useful dynamics are being developed to compete with the front runners. Till then, let’s stay tuned and keep a look out for beasts that will outplay these monsters on the road. So far one of the best list.